The Union Minister for Human Resource Development, Smt. 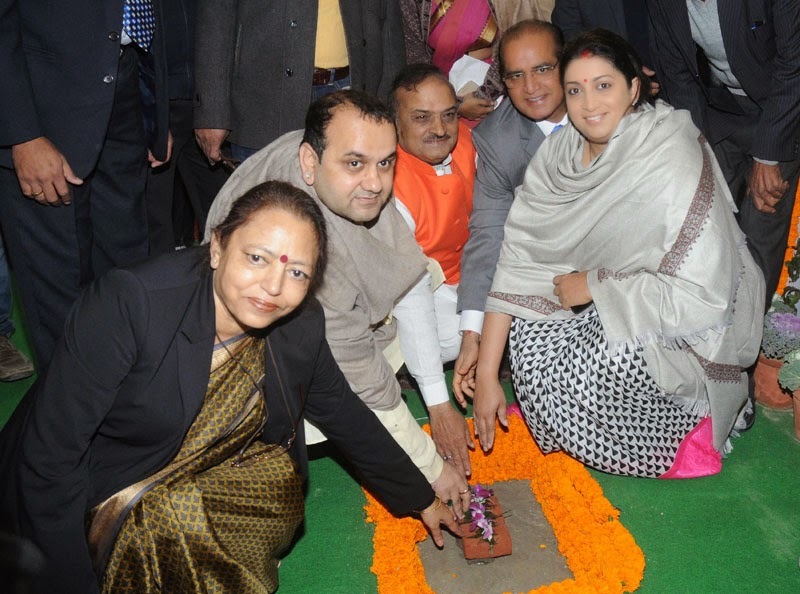 Smriti Irani laying the Foundation Stone of the Guru Gobind Singh Indraprastha University, at Surajmal Vihar, East Campus, Shahdara, in New Delhi on December 14, 2014. Guru Gobind Singh Indraprastha University has planned an East Campus to accommodate its new University School of Architecture and Planning and the University School of Design. The foundation stone of the new building will be laid by the Minister of Human Resource Development Smriti Irani on Sunday. The Union Minister for Human Resource Development, Smt. 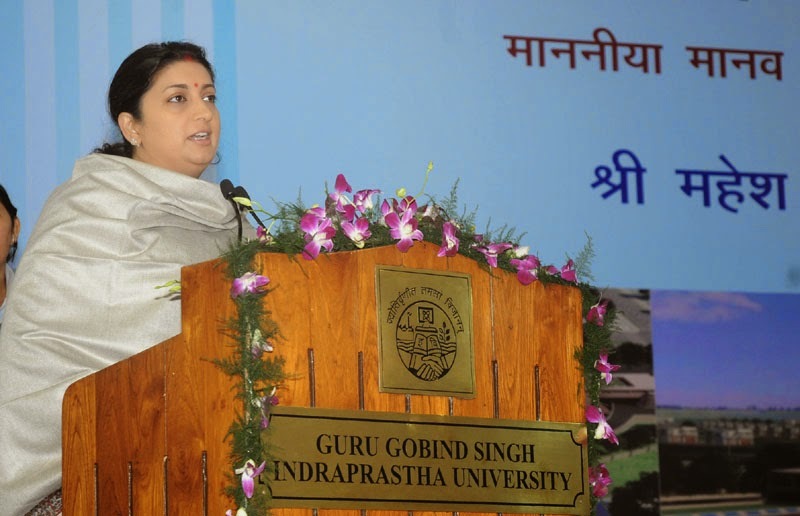 Smriti Irani addressing after laying the Foundation Stone of the Guru Gobind Singh Indraprastha University, at Surajmal Vihar, East Campus, Shahdara, in New Delhi on December 14, 2014. The campus will be constructed at an estimated cost of Rs.271 crore and 18.75 acres have been set aside at Surajmal Vihar in Shahdara. The planned intake is a total 425 students each year. The campus will be completely a net-zero campus, with all in-house facilities to deal with power, water, drainage and waste. At present, the University School of Architecture and Planning is being run from the temporary campus located at Kashmere Gate. The two schools will offer six courses, including four undergraduate and two Master programmes in the field of architecture, planning and design. IP University also plans to start research and specialised courses once the new campus starts functioning. The new campus will aim to provide world-class infrastructure for students of architecture, planning and design, officials said.